Old Fort Niagara brims with holiday merriment, festive songs, creative crafts and booming celebrations at the annual Castle by Candlelight, happening on Saturday evenings, December 8 and 15, from 6:30 to 8:15 p.m. 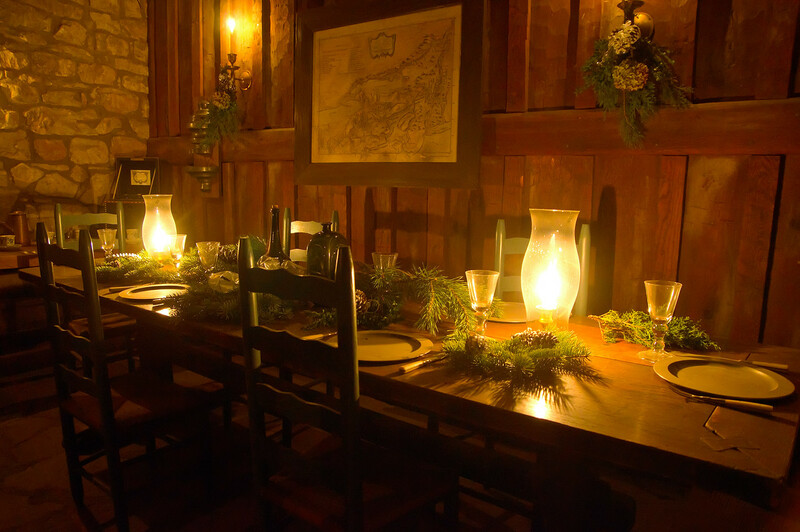 This annual fundraiser allows visitors to step back in time and enjoy the sights, sounds and smells of the Christmas season within the candlelit-setting of the 18th century fort. The event offers hands-on activities and interactive history demonstrations, including exhibits of fur trading, woodworking and silver trading, preparing an 18th century meal, soldiers’ activities, Native songs and dance, playing games, writing with quill pens, and making crafts. Music will be provided by the fort’s field musicians and local musicians who play period tunes. Historical characters will be everywhere to share history and welcome guests. Many of the evenings’ activities take place in the French Castle, which Youngstown Garden Club members and volunteers decorate with natural evergreen boughs, ribbons, handmade ornaments, dried flowers and berries. The Castle, built in 1726, is the oldest building on the Great Lakes. 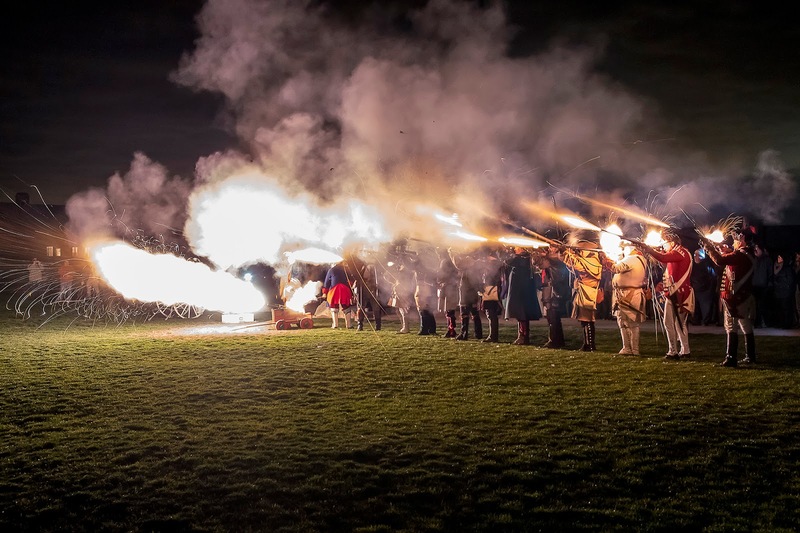 Activities will happen outdoors, too, including the "feu de joie" (firing of joy) musket and cannon firings, which recreate an 18thcentury military ceremony that celebrated great victory. Storytelling around a fire and Native song and dance demonstrations will also happen on the fort’s parade ground. Homemade soup, authentic bread pudding, hot cocoa, soft drinks and cookies will be for sale onsite at the Trading Post (while supplies last), while musicians provide live holiday music for customers. Tickets will be available only at the door for $15 per person from 6:30 pm to 8 p.m. each night. Children ages 5 and under are free. Cash and credit will be accepted, but exact cash is encouraged to help expedite lines. Visitors are encouraged to dress for the weather, wear walking footwear and bring a flashlight. The fort's Museum Shop will also be open, offering a wide variety of books, apparel, historic reproductions and other unique gift items. The shop is open daily from 9:00 a.m. to 4:30 p.m. The fort's next event will be the Twelfth Night Ball, on January 5, 2019. Tickets for this 18th-century English Country Dance will go on sale December 3. 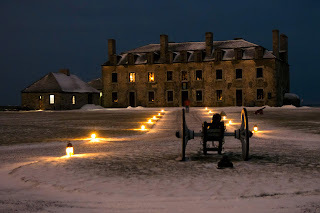 Old Fort Niagara (www.oldfortniagara.org) is a Registered National Historic Landmark and New York State Historic Site operated by the Old Fort Niagara Association, a not-for-profit organization, in cooperation with the New York State Office of Parks, Recreation and Historic Preservation. The site is open daily from 9 a.m. to 5 p.m. Gates close 30 minutes after the last ticket sale. Follow us on Facebook, Instagram, Twitter and YouTube.